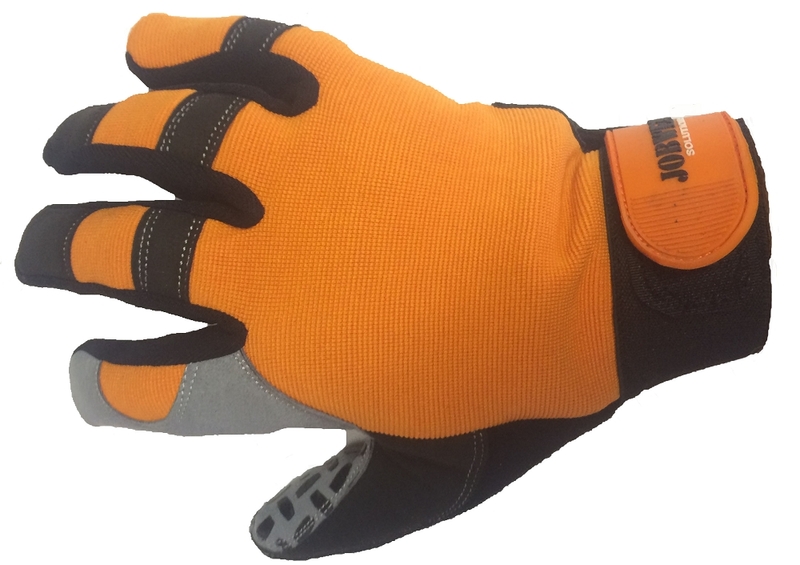 A top quality form fitting work glove for the active professional. 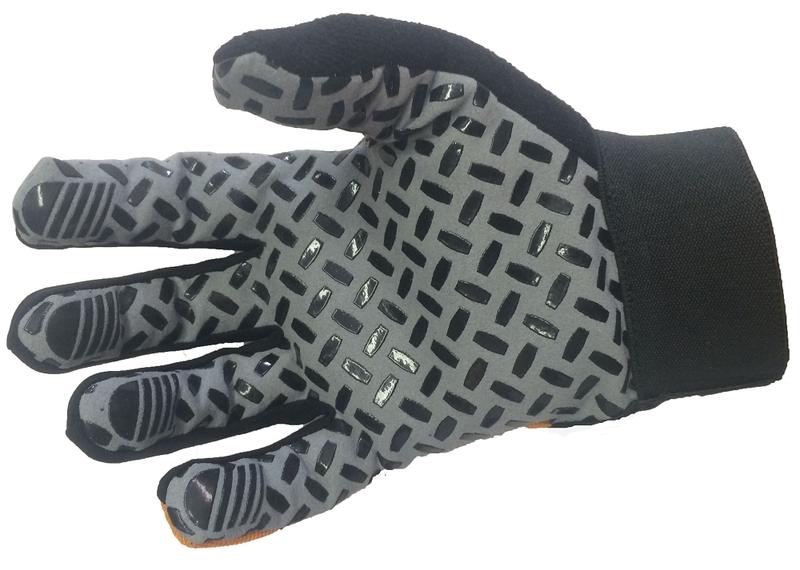 With sure-grip technology on the palms, these gloves insure you hang onto whatever you pickup to get the job done. Manufactured in orange for easy location. Front palm artificial leather amara silicon printing. Back Polyester fabric laminated with foam & polyester fabric. Terry Cloth fabric on thumb. It's near impossible to find gloves that fit a XXL hand, and most on the market are not the quality that you find in the JOBMAN brand. 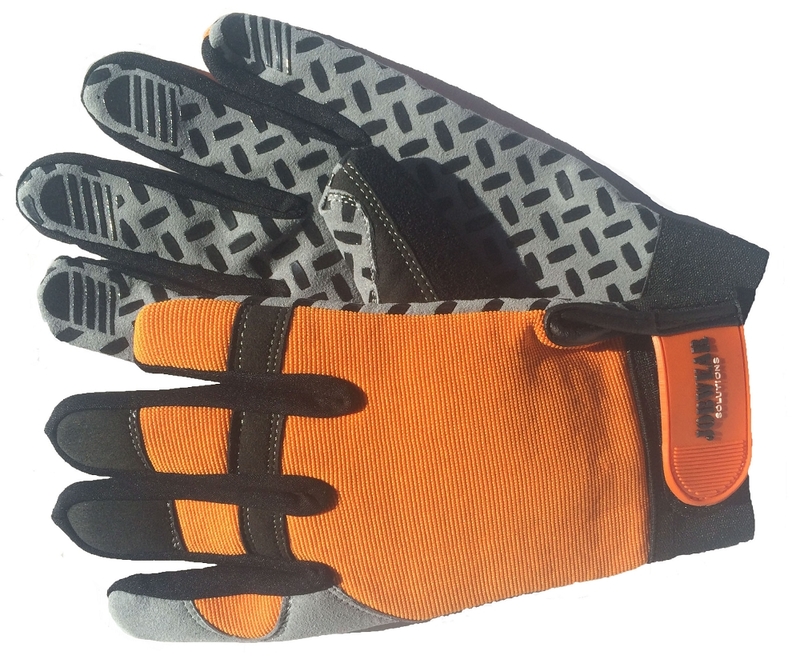 The gloves are hard working, and grip tools well; there is no worry of a tool slipping from your glove with these. a quality glove that fits the bill without breaking the bank. I purchased these gloves as a test for our team doing container unloading. They are holding up well and not showing holes or tears like previous gloves we ordered online. However, the grips are beginning to come loose, and after one container, they really were less grip than bare hands. 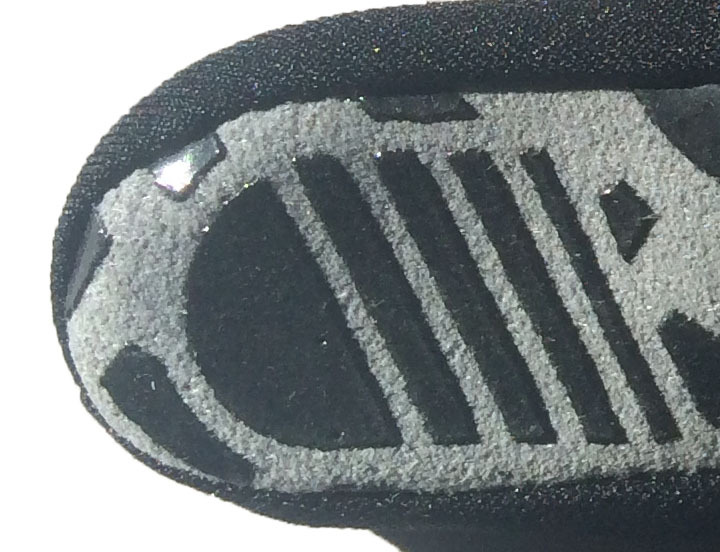 They are good secure gloves and protect from cuts and bumps, but fail to provide extra grip...still looking.